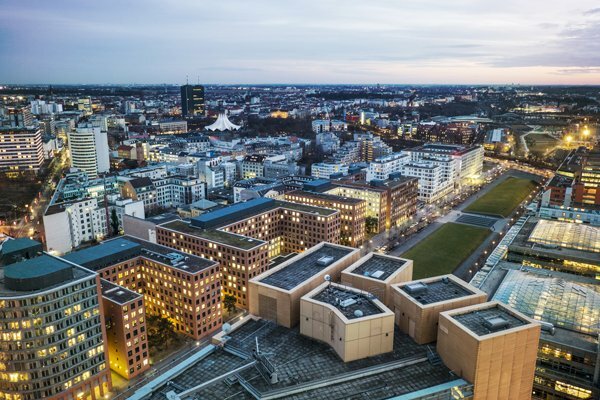 Forget Silicon Valley, Berlin’s Silicon Allee has been one of the most talked about start-up hub in the world for some years now, but how does it compare to its West Coast rival? Pros: Excellent value in a diverse, international city with a worldwide reputation for innovation in the online sector. Cons: For an international city, it could be better served by its airports, while the ecosystem is not quite yet on par with Silicon Valley. Cost: Very reasonable when put up against other strongholds such as London and New York, you'll struggle to find better value. What to expect: Low prices – although that’s steadily changing, a great pool of talent, a thriving start-up scene and a very rich culture. ​To find out a little more about what the German city has to offer start-ups we spoke to Rob Rebhloz, Co-founder of SpaceWays, an on-demand storage service from Berlin-based Rocket Internet – the self-proclaimed world’s largest incubator. We also sat down with Marie-Blanche Stössinger of Wooga, a mobile-first game developer, who was able to offer some tips for start-ups choosing to base themselves in the ‘allee’. What are best aspects of doing business in Berlin? Rob Rebholz (RR): Berlin is extremely dynamic and certainly one of Europe’s most international cities. We have access to incredibly smart and driven people from all over the world that come here to work in the thriving Internet sector. The SpaceWays' team, for instance, is comprised of people from five nationalities already, and everyone loves Berlin for its hip culture and the cool vibe. Marie-Blanche Stössinger (MBS): Berlin is a vibrant city in the heart of Europe and is attracting more and more industries. The mix of affordable cost for a rather high standard of living, plenty of cultural offerings and an international environment foster an exciting atmosphere of new beginnings. This special setting also makes it increasingly easy to attract international talent for a company like Wooga. We are now more than 250 employees from more than 40 nations and it is doubtful whether we would have been able to build such a diverse team in any other German city. What are the downsides to doing business in Berlin? RR: The airports! Construction of Berlin’s new airport keeps being delayed, and the older airports are not that great. Having recently launched our on-demand storage service in London, we travel to the UK a lot. This can get a bit painful at times due to bad flight connections, but I guess one just has to live with these things. MBS: While being the most international German city, doing business in Berlin is still likely to prove challenging without any native language support. When starting your business and possibly even hiring people from abroad, you should brace yourself for some complex bureaucratic processes. At Wooga, we have a dedicated team to take care of the settling in of new staff and even after the new Woogas have settled in, it’s the team’s aspiration to come up with initiatives that enable them to really set up roots in Berlin. How would you describe the business culture in Berlin? RR: I’d say Berlin’s business culture is very results-oriented. It’s not so much about who you are but about what you bring to the table and how hard you work. Everyone’s very open and keen to pursue their ideas. What I especially like is that people’s backgrounds are extremely diverse, which makes for a great melting pot. MBS: Germany is still not quite on par with Silicon Valley, where entrepreneurship - and the subsequent possibility of failure - is valued as an admirable characteristic. But with the expanding start-up scene Germans are definitely starting to adopt the thought that ‘failing fast’ is part of delivering a successful result in the end. 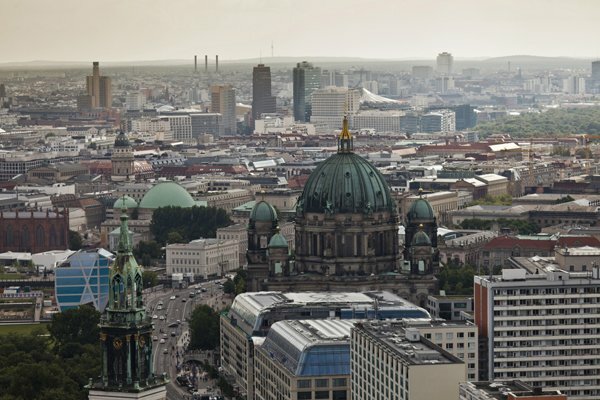 What are the costs of doing business in Berlin? RR: What’s great about Berlin is that it’s a relatively affordable city - which makes it an amazing place to start a company. You can rent a nice office in Kreuzberg at very good rates and invest the money saved into building a better product and hiring amazing people. MBS: They are relatively low compared to other German cities and particularly in comparison to other European capitals like London or Stockholm. There’s very good value to be found. What tips would you give to an entrepreneur thinking of starting-up in Berlin? RR: I’d tell aspiring entrepreneurs, irrespective of location, to prepare for an intense ride. Starting a company can be extremely stressful, and it’s crucial to only pursue an idea that one truly believes in. That’s why we decided to launch SpaceWays - because we are convinced that our business model is disruptive and addresses a major issue for people living in large cities like London. MBS: These tips aren’t particularly Berlin-specific, but they’re just as valid here as anywhere else: First and foremost, simply give it a try. Always keep challenging yourself and your assumptions and be open to iterate your initial idea if necessary.